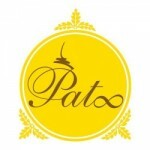 'Patoo' Premium Thai Cuisine opened its doors in November 2010. It has developed its cuisine and service by combining the traditional and modern Thai lifestyle to serve you in Sheffield. 'Patoo' offers a selection of popular Thai dishes, light snacks and an interesting variety of delicious Thai desserts – all freshly prepared on site by Patoo chefs. Our drinks menu features an equally impressive list of refreshing cool drinks, tropical fruit juices, a selection of fine coffees and tea for the true connoisseur. Featuring a fresh design concept created exclusively for Patoo by Thai designer, the new restaurant's contemporary Thai-style decor sets an inviting tone and ambience by incorporating the grace, style and timeless traditions for which the Thai kingdom is so well known. We are open 7 days a week. Lunchtime from 12.00 to 2.30 and in the evenings from 6.00 to 10.30 Sunday to Thursday and 6.00 to 11.30 on Friday and Saturday. Patoo Thai has recently undergone a full interior refurbishment and now has a traditional Thai interior with original artworks from Thailand which are made from recycled paper and gold leaf. What is happening in the restaurant, new menus, awards and general news. Click “Read more” to go to the News page.